There has to be a better solution than this. We have tried everything that we could, sorry to let you all down. But it is to hard. We quit. 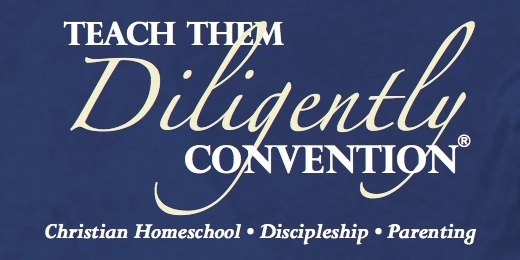 Why Go To a Homeschool Convention? That weekend was not a waste of time, money or resources. It was a weekend that actually showed me how I was wasting time, money and resources on things other than my kids education. Homeschoolers Don’t Let This Slip Away!! Men, I’m talking to you, don’t make your wife be the lone wolf trying to homeschool all alone. Take your wife by the hand and do this together. There have been few things in life that really impress me. But I must admit that the Teach Them Diligently Convention this year in Washington, DC has done just that! From the beautiful surroundings of the Gaylord Hotel and Resort, the perfect weather, the outstanding speakers and the awesome children’s program, I will say that I am in awe. Hey guys! Wow and what an amazing time we are having so far. If you don’t know what is going on, we are heading up to Washington, DC for the Teach Them Diligently Convention! This is making a great road trip with the kids and the Allen family (WWW.Conversaving.com). This past Sunday I had the privilege of being able to step into the pulpit of my home church during the 11:00 service and deliver a message that God has laid upon my heart for a long time now.